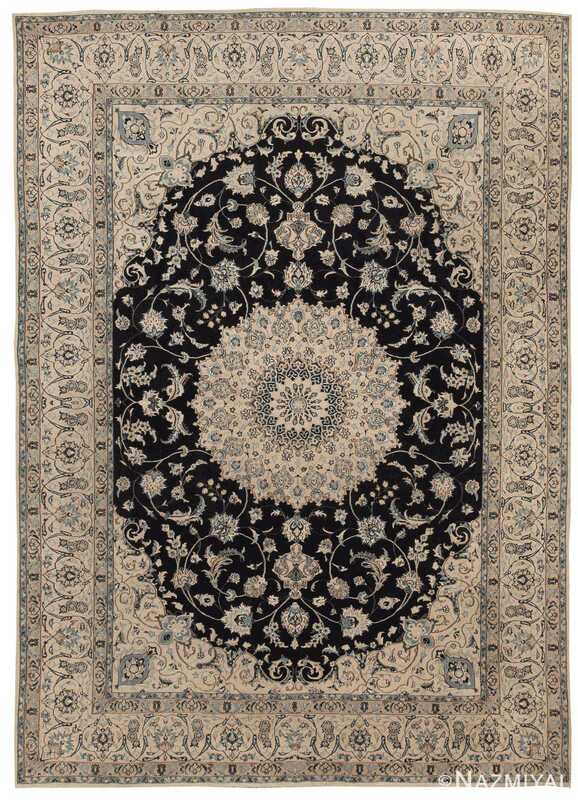 Magnificent Black Animal Motif Vintage Nain Persian Rug 51159, Knots Per Square Inch KPSI: 625, Country of Origin / Rug Type: Vintage Persian Rug, Circa Date: Late 20th Century – The vintage Persian Nain rugs are renowned for their detail and fine use of outlining along the central motifs. 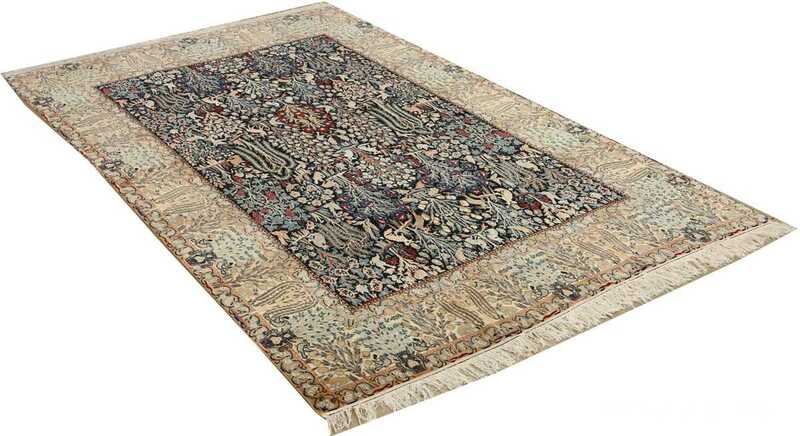 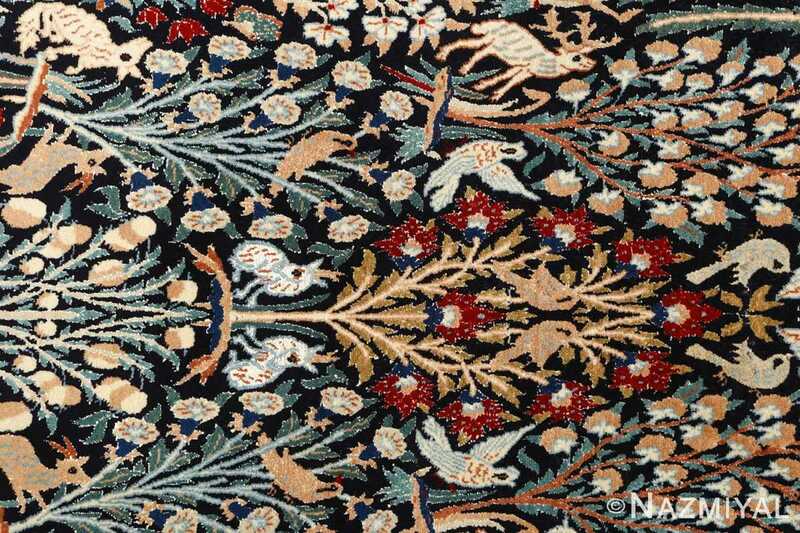 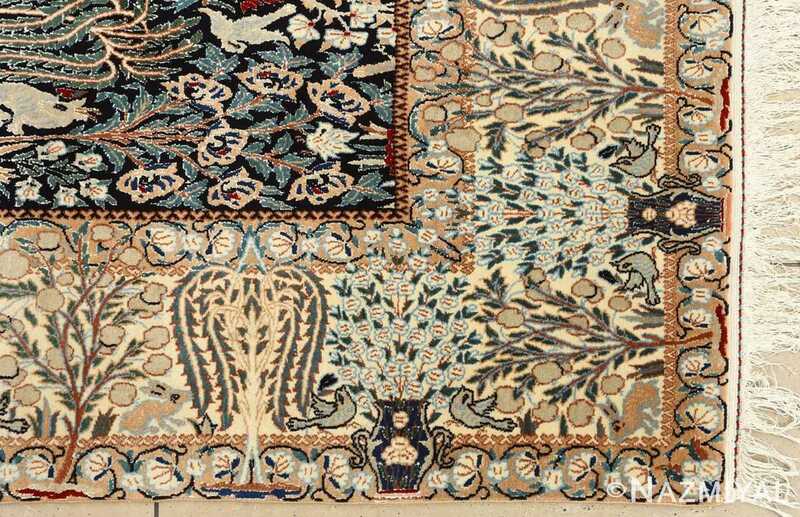 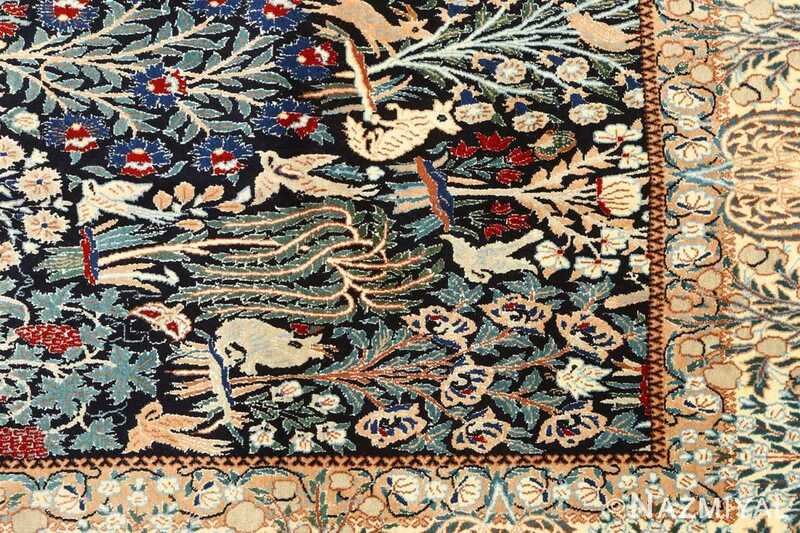 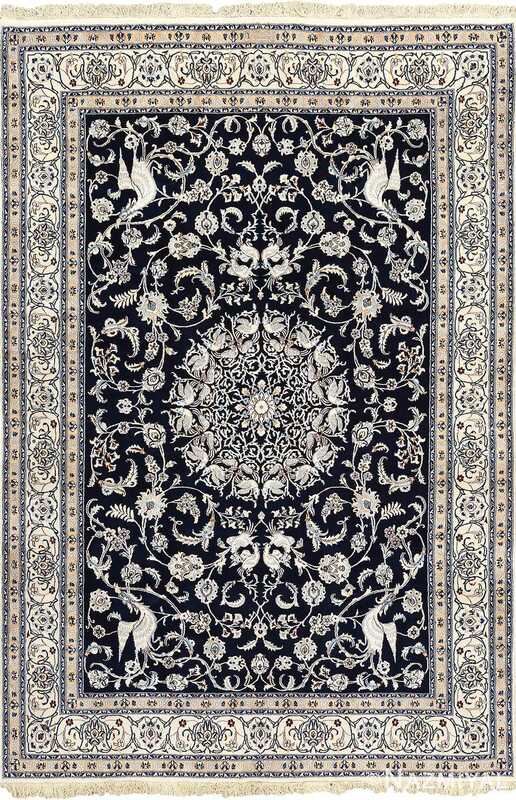 Breaking from the classical style of many vintage rugs produced around central Iran, Persian Nain rugs became renowned for their modern appeal and personal style, establishing the classical motifs of many other regional rugs, only through a more precise lens. 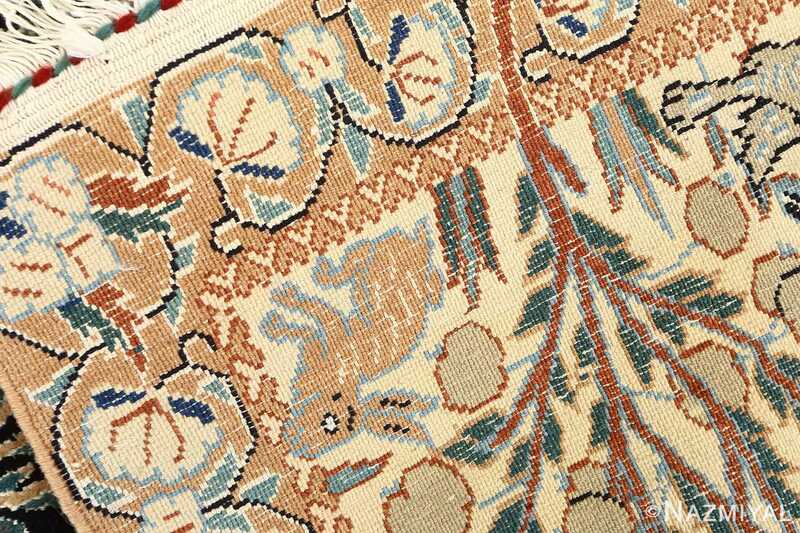 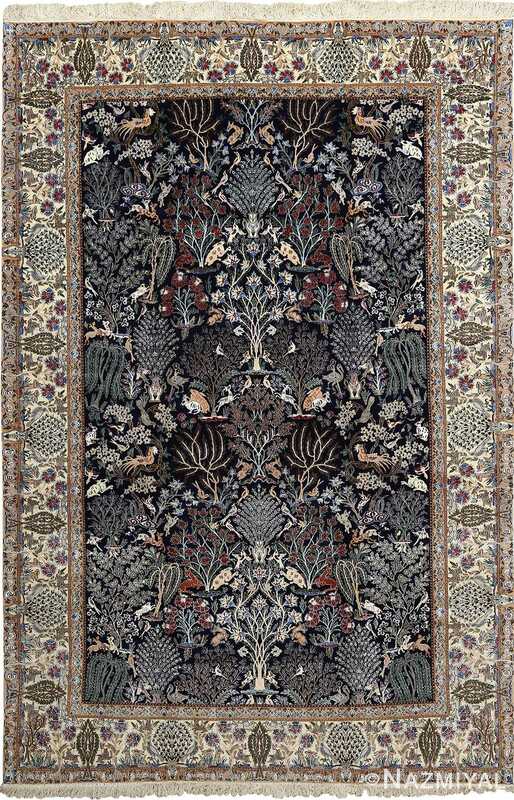 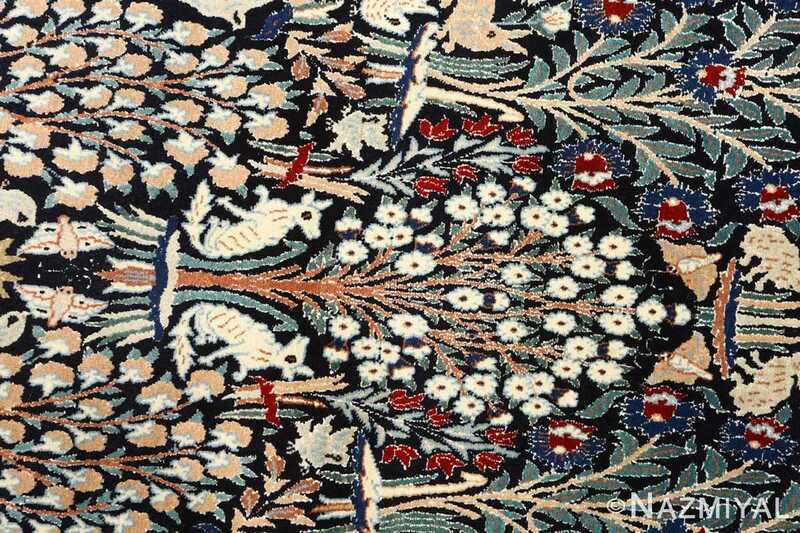 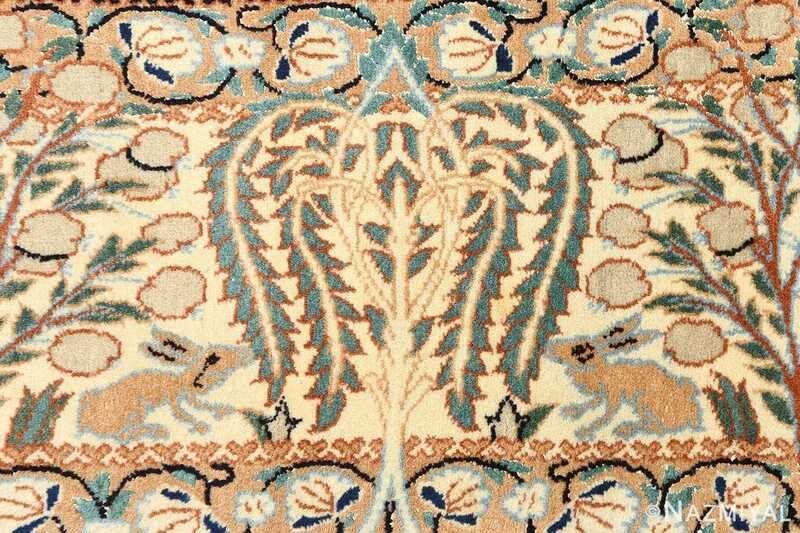 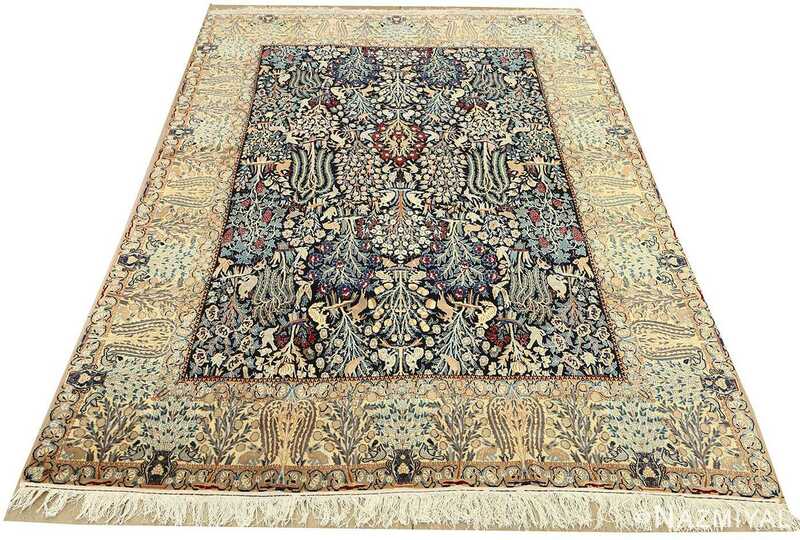 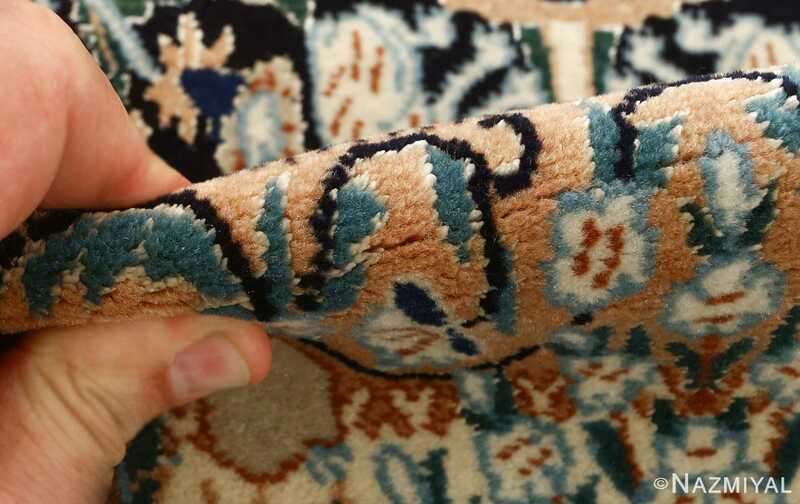 In this striking piece, the precision is particularly visible along the heart of the vintage Persian rug, where the attention to detail allows each individual color to stand out as a unique part of the whole. 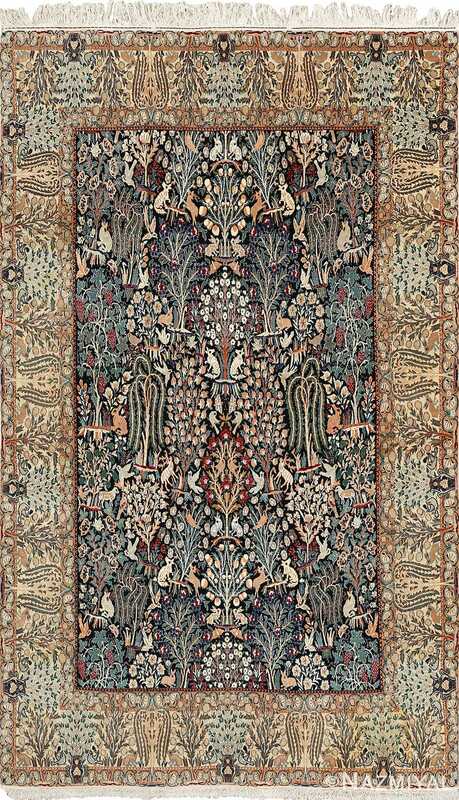 The surrounding borders help ground the masterpiece and add horizontal intrigue to the natural elements within, which are arranged vertically to establish a cascading effect.